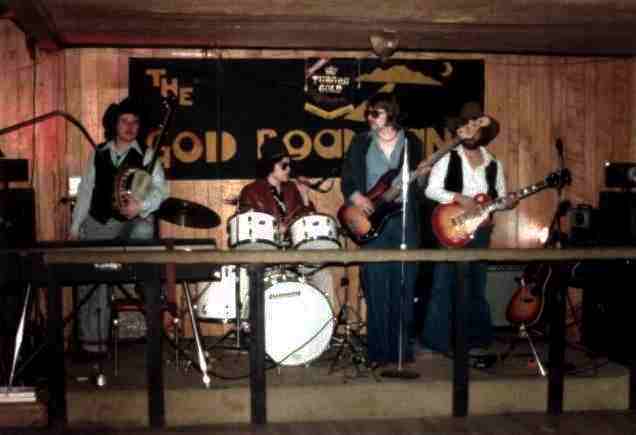 The Gold Road Band was the first band I co-founded with Malone, we did a bit o country and country rock. We ended up doing everything from Marshall Tucker to Chicago. We played from around 1981-82.5, every weekend for that time period at the Chalet Tavern in Puyallup. It was a blast and we had a pretty good following when we finally quit for reasons of exhaustion and new directions. Danny is presently playing with The Michal Miller Band. They won last years Tacoma Blues Contest (Guitar Center). Malone Schwartz is currently playing with Strokker another Tacoma blues based band. Mark Gevais went on to play with the Lane Brothers and others and unfortunately passed on a few years later. He was a great drummer/singer and good friend. I am the one hiding behind Malone's guitar in the above picture. I had the better guitar anyway. It was fun and it was good music. Carson Randolph, Pleasant Heads, June 2007. Some of the other Pacific Northwest music groups represented in members of this group include: Strokker, Tapestry, Trixx, Ezra and many other NW bands.